Paralympics, Sochi 2014, ACSM and more! It’s been almost a month since the ACSM 2013 meeting in Indianapolis wrapped, but it’s the gift that keeps on giving for me. Meetings like those of the American College of Sports Medicine (ACSM), the American Medical Society for Sports Medicine (AMSSM), or the Canadian Society for Sports and Exercise Medicine (CASEM)–all partner societies with the Clinical Journal of Sports Medicine (CJSM)–are such a pleasure because a sports medicine clinician like myself can interact with clinician researchers from across the globe. What could I do, but beg Connie to pen a guest blog for me so I could learn more about her session at ACSM. Little did I know, I could also live vicariously her jet-set life: catching up with her between Indianapolis, Calgary, Russia, and all points between (I’m beginning to wonder if she’s involved in the Edward Snowden affair). It has been hard to track her down! But worth it. And so I present the guest blog from my colleague, Connie Lebrun, M.D. 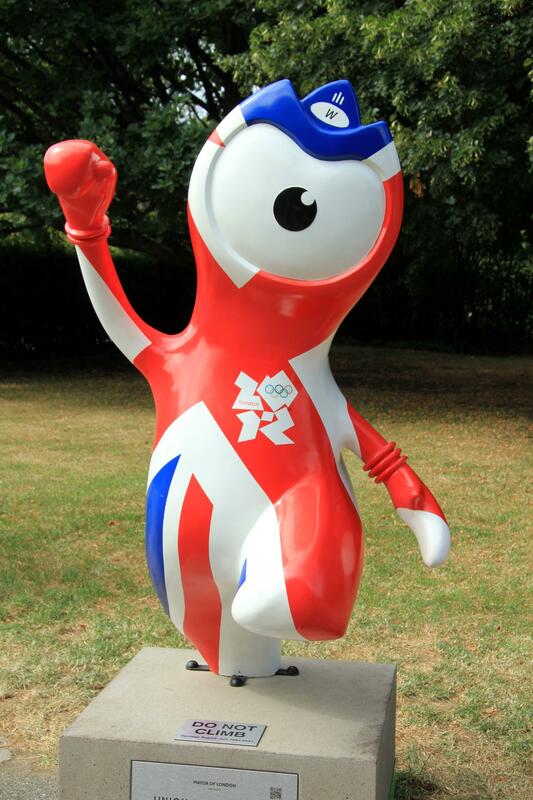 London 2012: Wenlock? Or Mandeville? We had a stellar cast of speakers, beginning with David Epstein, a brilliant young “investigative journalist” for Sports Illustrated, who has won many awards for his science writing. He has produced innumerable cover stories for SI, on a variety of topical and controversial sports issues, including the piece that broke the news that Yankees third baseman Alex Rodriguez had used steroids. He gave us a fascinating expose of a journalist’s impression of the Games and, in so doing, also some insight into the tremendous amount of background preparation that goes into each of his stories. He could almost be a sport scientist! So meticulously does Mr. Epstein research his topics that several major sport medicine and sport science journals have given him free on-line access. I am looking forward to his forthcoming book – The Sports Gene: Inside the Science of Extraordinary Athletic Performance, out through Amazon in August. Next followed two brilliant presentations on Injury and Illness Surveillance data in the 2012 Olympics and Paralympics, given by expert physicians Drs. Margo Mountjoy and Stuart Willick respectively. Dr. Mountjoy has been a long-time member of FINA and the IOC Medical Commission, where she has been involved in the IOC’s ongoing surveillance system – which was only recently expanded to include illnesses (as well as injuries) at the time of the 2010 Winter Olympics. The injury/illness surveillance data have been previously reported for the 2010 Winter Olympic Games and for the 2012 Summer Olympic Games . For practitioners working with specific sports, such information can prove invaluable in preparation for the Games. However, in practice, the information may prove valuable only in hindsight! For example, the highest rate of injuries in the Vancouver/Whistler Olympics occurred in Women’s Snowboard Cross. Snowboard: who knew? Well, I know that now from personal experience: I was the Team Physician with Snowboard, and it felt like I was spending all of my time taking our Canadian athletes into the Polyclinic at the Olympic Village in Vancouver – for x-rays and other advanced imaging, such as ultrasound, CT and MRIs! From left to right: Drs. 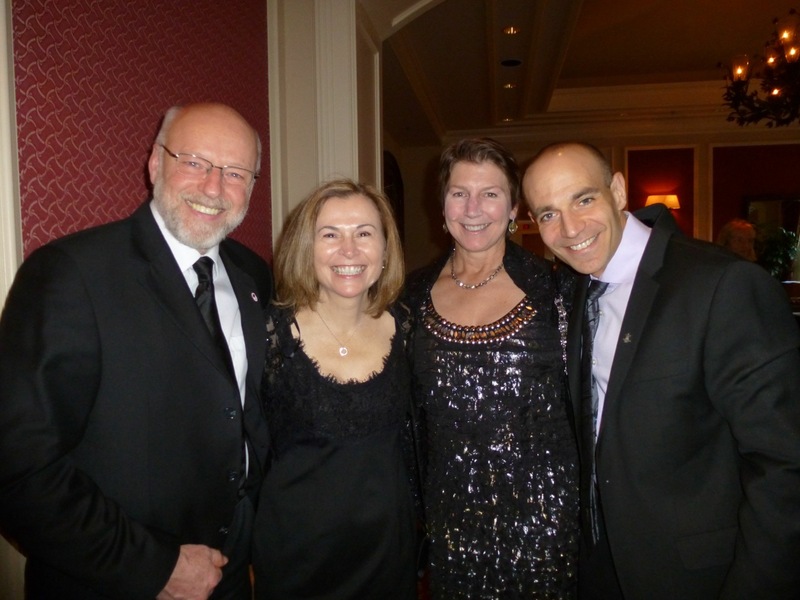 Bob McCormack, Renata Frankovich, Connie Lebrun, and Dory Boyer. Now I am fortunate to be the Chief Doctor for the Canadian Health and Science Team (HST) for Sochi 2014, and I am heading off shortly for a site visit with Antoine Atallah, the Canadian Olympic Clinic Manager and the other Canadian Olympic Committee (COC) leads. We will be scouting out the spaces assigned to us for our medical clinics in the Coastal and Mountain clusters, as well as the venue plans and emergency response procedures. In August we will be returning there with several members of our Core Team – including Dr. Bob McCormack, who is a veteran Chief Medical Officer (CMO) of many Games, and the ongoing Medical Director for the COC. In Sochi, he will assume the title of CMO for Canada, and will continue with his important liaisons with the IOC, WADA, etc. that he has cultivated throughout the years. I am responsible for logistics and overall organization of the HST, along with Antoine and Raymonde Fortin, Chief Therapist. We have selected two other Core physicians – Dr. Dory Boyer, an orthopaedic surgeon from Vancouver (who was also the overall Venue Coordinator for the host medical team), and Dr. Renata Frankovich (who was Assistant CMO to Dr. McCormack in 2010). Our core therapists include Sam Gibbs (Athletic Therapist) and Massage Therapists Kip Petch and Alain Bellemare. The remainder of the HST will come as dedicated National Sport Federation (NSF) practitioners with their particular sport. I am eagerly looking forward to our upcoming visits, and the Olympics next February! 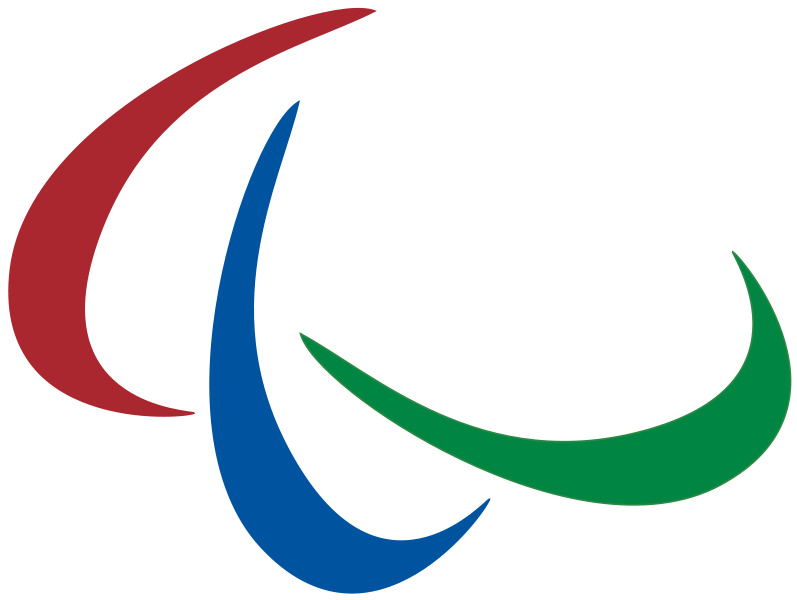 The logo of the Paralympic Games, and of the International Paralympic Committee (IPC). Other Games that I have not had the pleasure of attending include the Paralympics, but those practitioners who have speak glowingly of the rewarding experience of working with Paralympic athletes. Dr. Stuart Willick, as part of the Injury and Illness Surveillance project of the International Paralympic Committee (IPC) research team, presented the numbers from last summer, details of which can be found here. Dr. Willick has been an author of several Paralympic injury and illness surveillance studies, including one focusing on the 2010 Winter Paralympics found in the pages of the Clinical Journal of Sports Medicine. He and his group will be back in action in Sochi as well. Our final presenters were expert nutritionists Drs. Louise Burke and Liz Broad, who enlightened us on some of the “Nutrition Challenges and Controversies at the Games.” They both hail from the Australian Institute of Sport (AIS) in Canberra, Australia. Louise in particular, has long been an integral part of Team Australia’s preparation for major Games, while Liz was the Chief Nutritionist for the London 2012 Paralympics. For comprehensive and up-to-date information on nutrition, including supplements (recommended and otherwise), I always peruse the website of the AIS, which has a superb section on Nutrition. 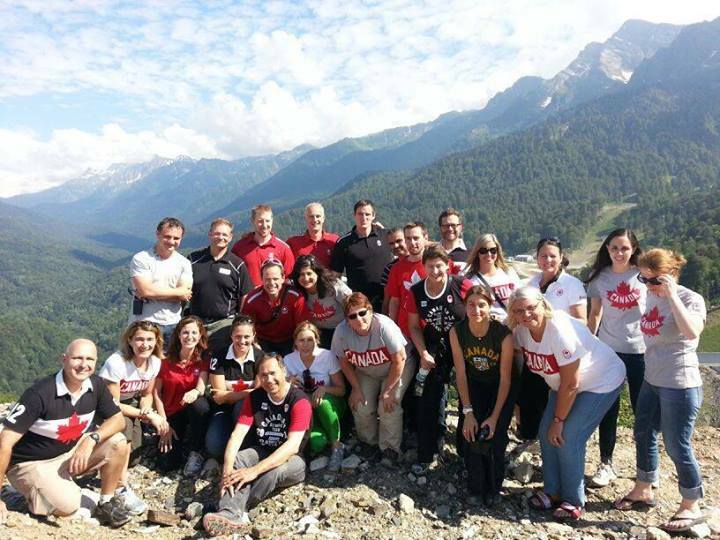 (Medical) Team Canada at Sochi mountain venues: prepping for 2014! Finally, I would be remiss not to mention the traditional Friday night ACSM banquet. This year I was pleased and very touched to witness the inauguration of my good friend and colleague Dr. William (Bill) Dexter, as incoming ACSM President. Family and many friends were in attendance. Not many people reading this blog post will know that Bill sustained significant injuries a few years ago, when he and another friend were hit by a truck while out for one of their regular bike rides. Bill talked openly about that accident in his acceptance speech and his long road back to health. It has truly been remarkable to witness his amazing recovery and to see the energy, experience and enthusiasm he will bring to his new role as President! Thank you Connie, wherever in the world you are!!!!! 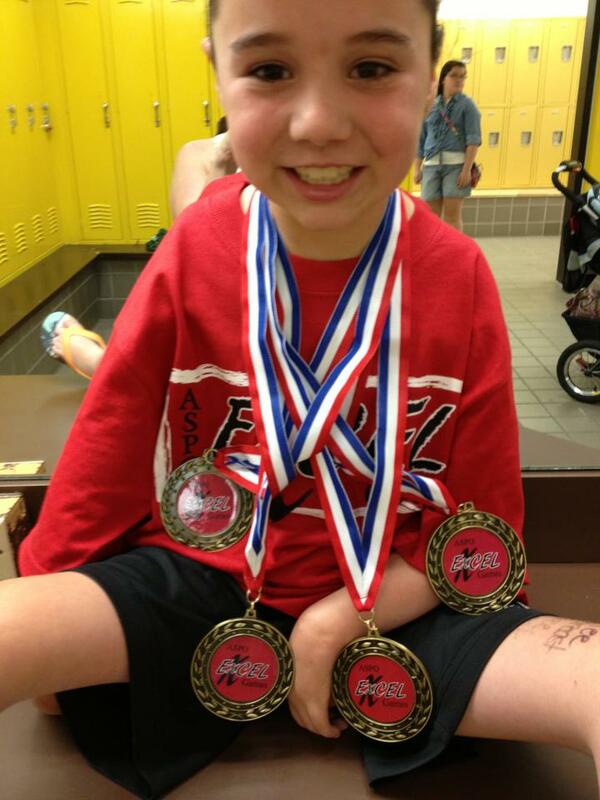 One Response to Paralympics, Sochi 2014, ACSM and more!